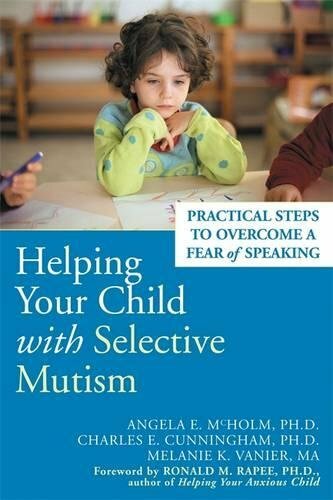 This book provides information about selective mutism, an anxiety-based condition that causes children not to speak in certain situations. Teachers will learn what selective mutism is, what causes it, and how to support parents of children with selective mutism finding treatment. The authors describe the steps that adults can take to encourage children to speak comfortably in a variety of social situations, including speaking with peers and adults inside and outside the classroom. Each of the strategies described are employed in a gradual, “step-ladder” approach, that gently supports students in speaking more, while taking care to create the conditions for them to feel safe and comfortable to ensure greater intervention success. Dr. Angela McHolm is director of the Selective Mutism Service at McMaster Children’s Hospital in Hamilton, ON. Dr. Charles Cunningham is a psychologist at McMaster Children’s Hospital and professor in the Department of Psychiatry and Behavioural Neurosciences in the Faculty of Health Sciences at McMaster University-both in Hamilton, ON. Melanie Vanier, MA, is a clinician with the Selective Mutism Service at McMaster Children’s Hospital in Hamilton, ON. Dr. Ronald Rapee is a professor in the Department of Psychology at Macquarie University in Sydney, Australia, and director of the Centre for Emotional Health. McHolm, A., Cunningham, C & Vanier, M. (2006). 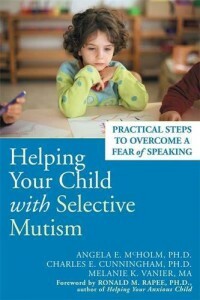 Helping your child with selective mutism: Practical steps to overcome a fear of speaking. Oakland, CA: New Harbinger Publications.